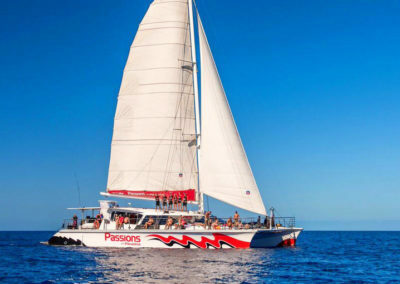 Cruise the Great Barrier Reef in style on this sailing cruise departing from Cairns. Spend the day exploring one of the natural wonders of the world and taking in the spectacular shimmering waters of the ocean. 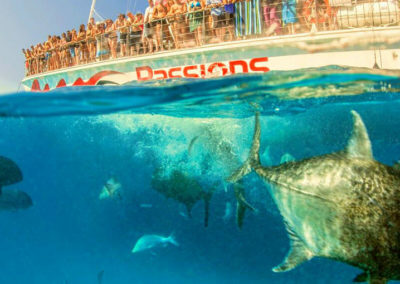 This sailing cruise visits 2 reef locations in one day which is great value for money. 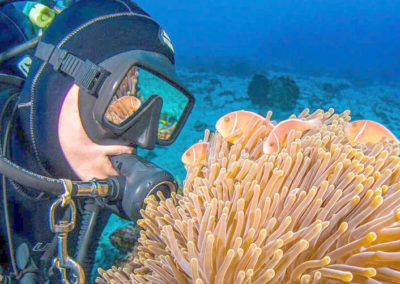 Friendly crew will take you on free guided snorkelling tours showcasing their favourite parts of the reef and where you may find the most amount of marine life. Glass bottom boat tours and scuba diving are also available on the day (additional cost) to comprehensively experience the reef from above and below deck. A hot and cold buffet lunch is served on board including prawns, fresh salads and tropical fruits. Relax on the sun deck or cool down in the air-conditioned saloon or sit back with a cold beverage after a day exploring the Great Barrier Reef and ticking another item off your bucket list. The $15 per person reef levy is not included in the cruise and is payable on the day of departure from the Cairns Reef Fleet Terminal. 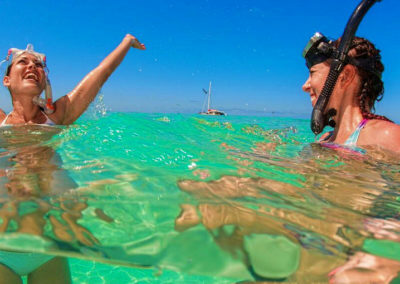 Discover the Great Barrier Reef on a snorkel sailing cruise from Cairns. Book online today to begin your adventure!